IMPORTANT: The information below is from the 2011 Manitoba Election. Visit www.ManitobaElection.ca for Open Democracy Manitoba's latest Manitoba Election voter resource. Learn more about this site or visit our 2011 election site. 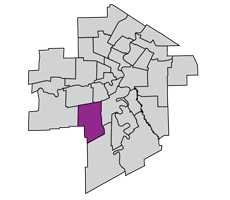 This constituency is located in the southwest portion of Winnipeg. The population of the constituency in 2008 was 19,200. This area was previously represented by Hugh McFadyen (Progressive Conservative Party) until July 30th, 2012. The seat remained vacant until the by-election was called on August 3rd, 2012. Recent articles that mention candidates from this race. Learn about this automated news feed. For more news click on a specific candidate. Manitoba Election - All content is public domain.